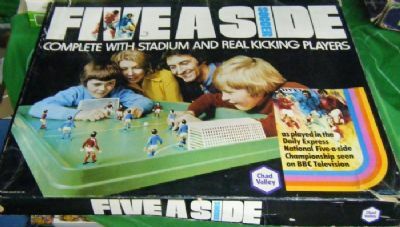 1970's Chad Valley game based on the Daily Express Five a Side championships at Wembley Arena. 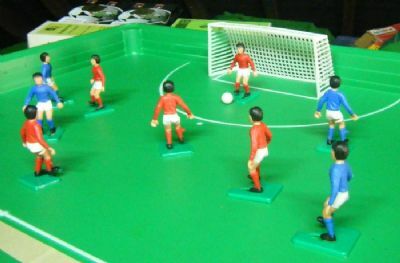 Very similar to the Striker and Big League games. 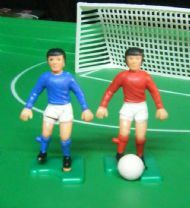 Strangely the teams did not include goalkeeper figures. 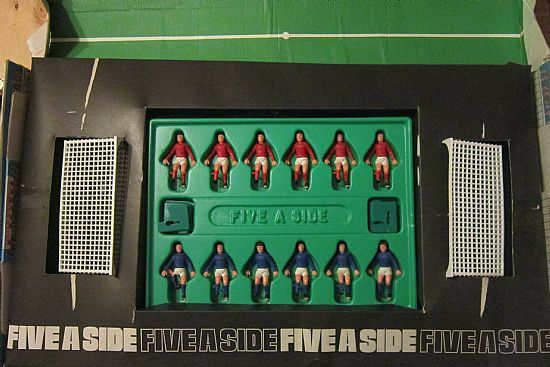 Huge box containing two part vacuum formed pitch, 10 players, goals and ball. 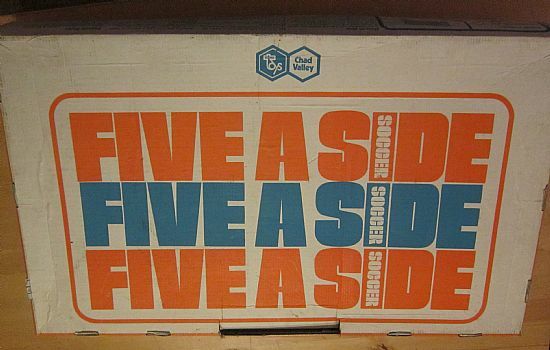 This is the first version of the game in huge card box that opens out to become the stadium. Great pitch, crappy goals without goalies! 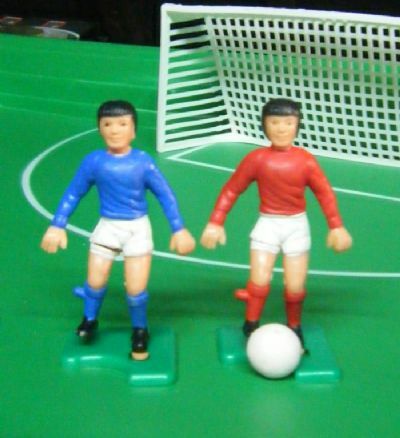 Very primitive looking knuckle dragging players. Legs are spring loaded to kick the ball. 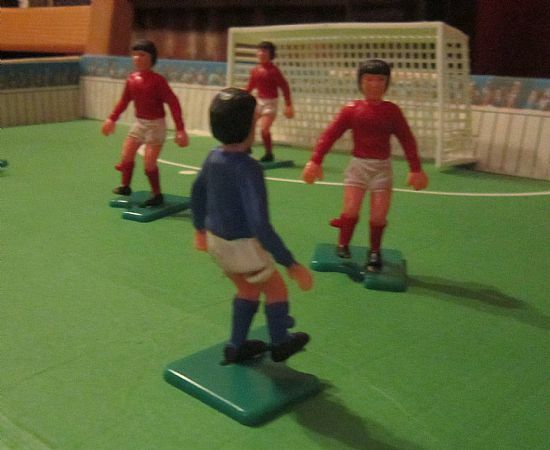 Early version players, goals and side wall joiners. Early version - you can get a feel of how uneven the card box pitch is from this photo. 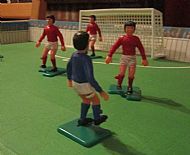 Early version - player nearest the ball is in possession and takes the next kick. 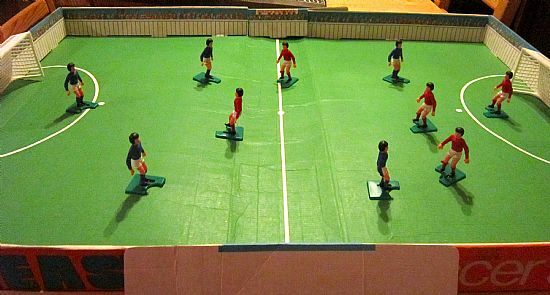 Impossible to play on an uneven pitch! Early version - I may have omitted to include the ball in this photo. Spot the ball anyone?